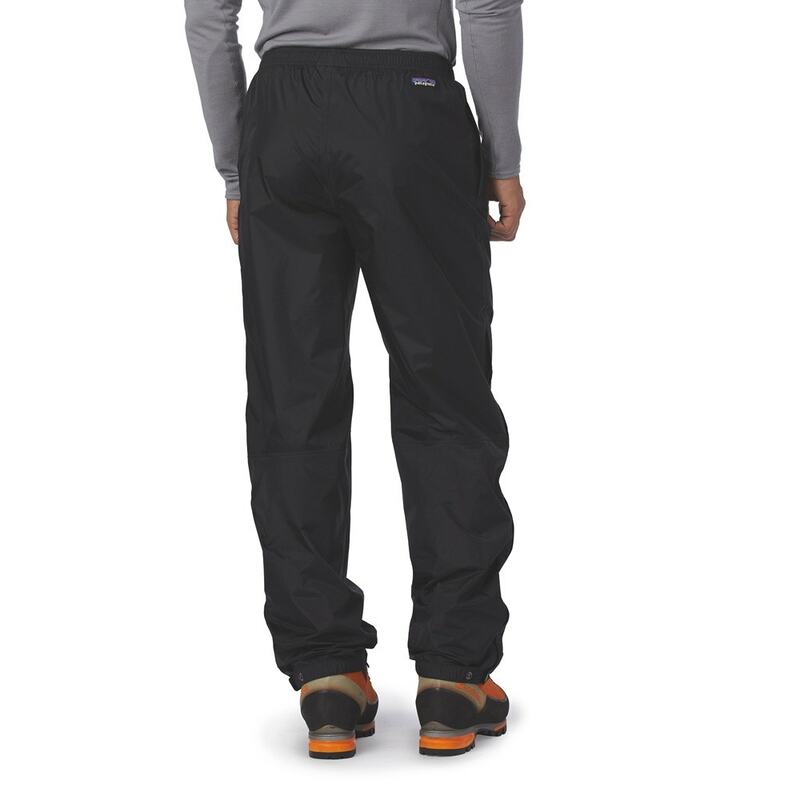 The Patagonia Short Torrentshell Pants are packable rain protection that pulls on easily over boots. 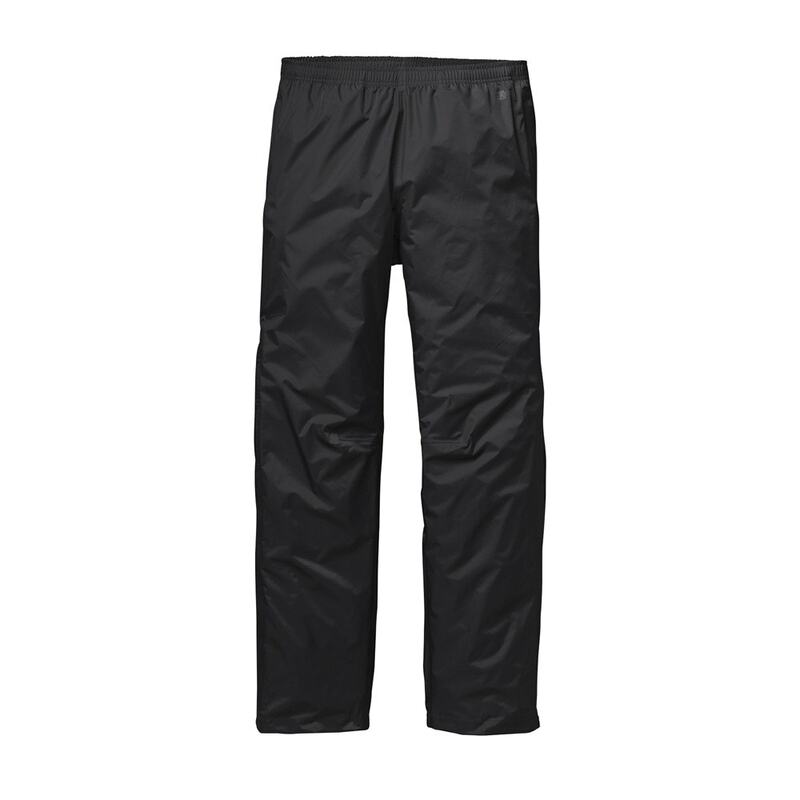 The Torrentshell Pants take a responsible step forward with a 100% recycled nylon face; waterproof/breathable H2No™ Performance Standard reliability. 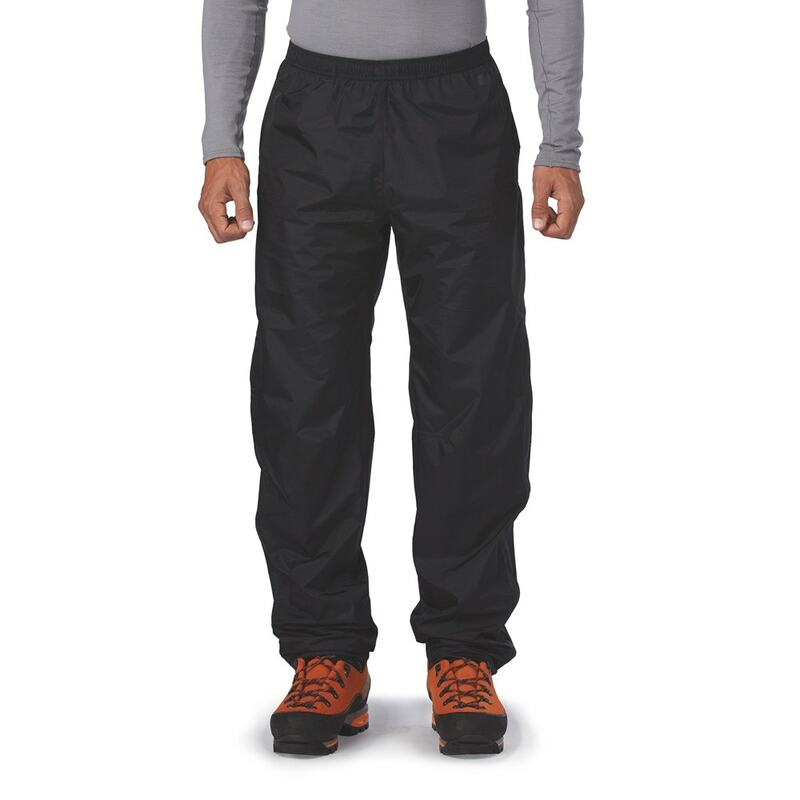 These H2No™ Performance Standard rain pants are made from 2.5-layer nylon ripstop (100% recycled) with a waterproof/breathable barrier and a DWR (durable water repellent) finish. They feature a simple pull-on style with an elastic drawcord waistband, articulated knees and water-resistant side zips that extend from cuff to thigh for easy pull-on over boots, while doubling as vents. 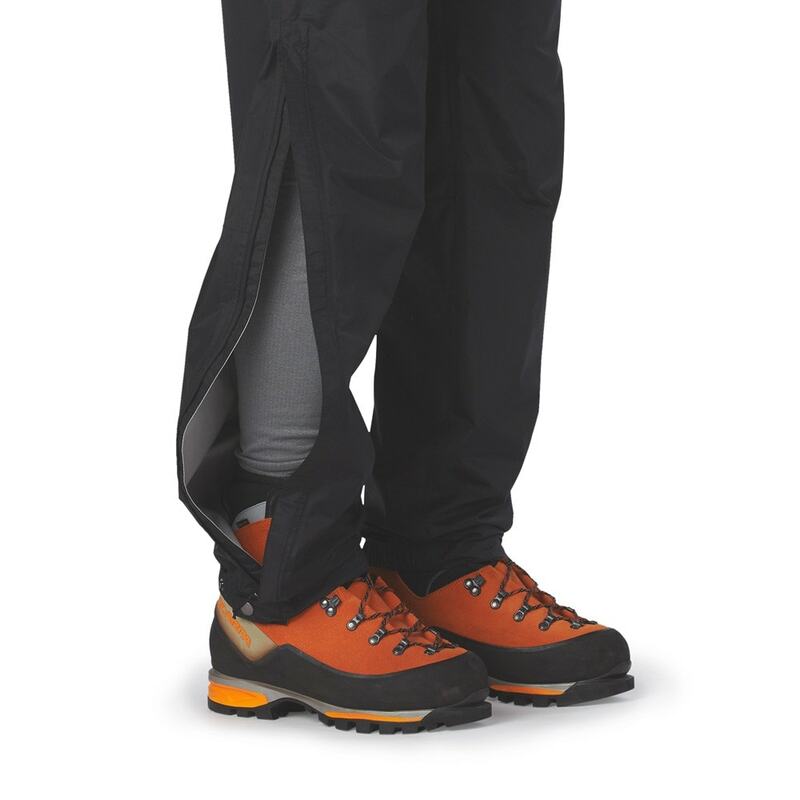 With two zippered pockets (the pants stuff into the left pocket, with carabiner clip-in loop) and partially elasticized cuffs that adjust with a snap-tab closure.